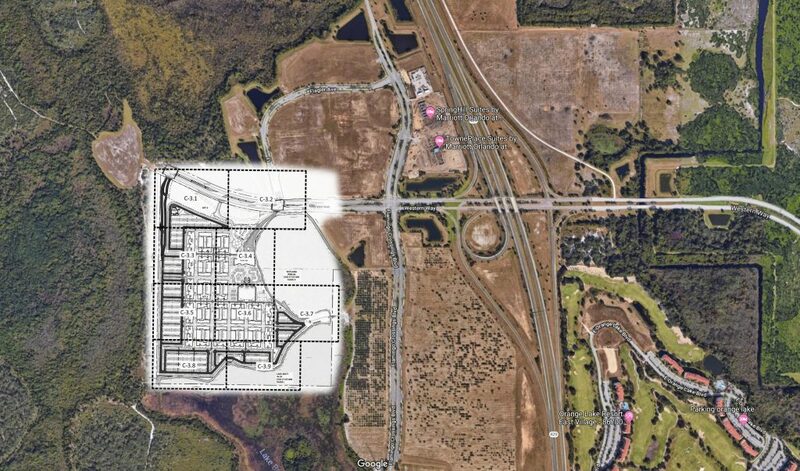 A permit filed with the state today laid out plans for nearly 1,300 more units of housing on a plot of land referred to as “Flamingo Crossings West”. The plans call for a 1,291 unit multi-family apartment complex sprawled across 88.5 acres of land. Of that, just under 5 acres is zoned for future commercial development. 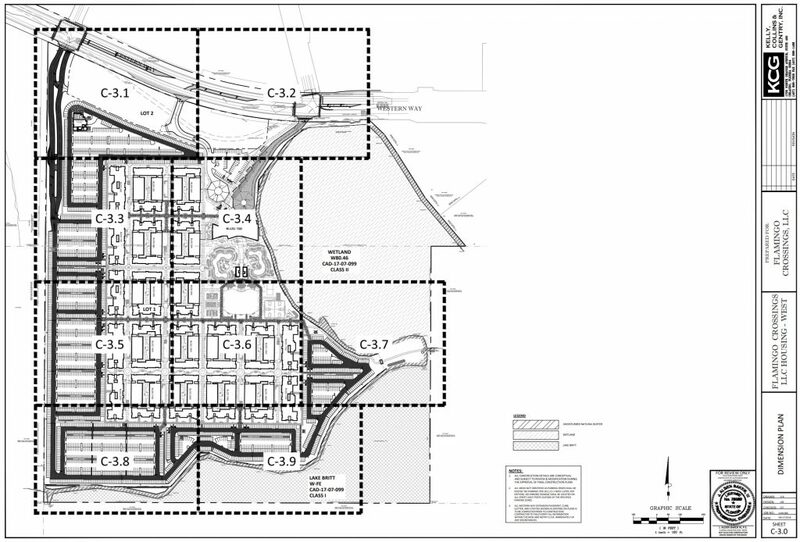 The permit below shows the 20+ structures planned for construction on the site. We’ve also taken the time to superimpose the permit on a Google Maps view of the area. 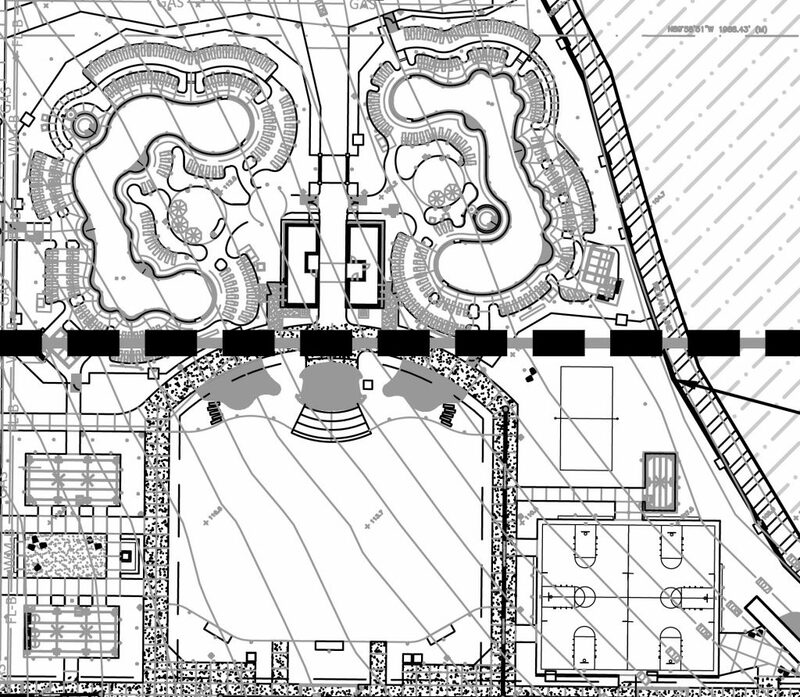 It looks like two pools and some recreational areas are also planned for the development. 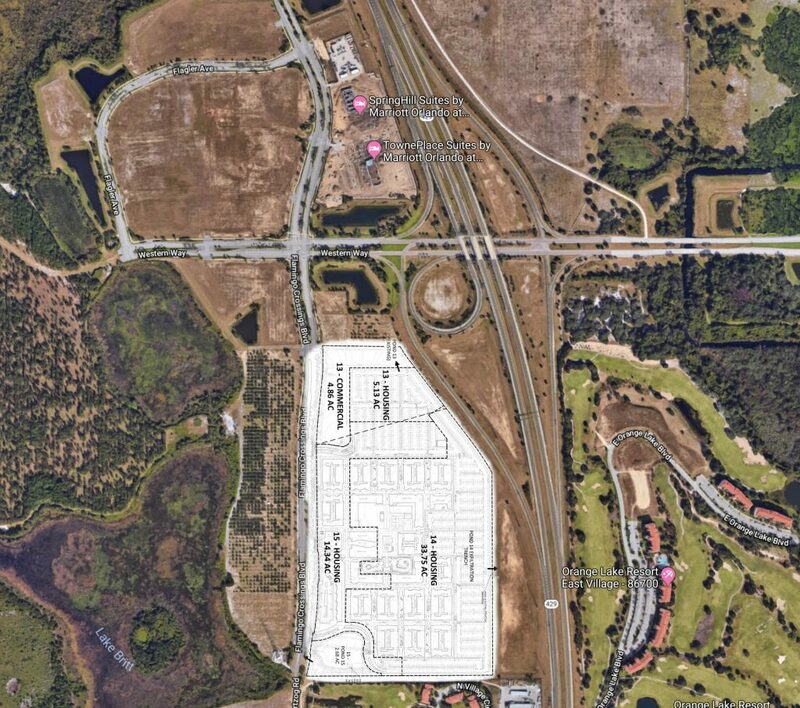 Across Flamingo Crossings Blvd, a 10,400-bed Disney College Program housing complex is also being built. All of this development is in addition to the four planned hotels yet to be constructed to the North of the two housing sites. Flamingo Crossings is set to be a huge expansion area for both multi-family apartments as well as commercial development in the coming years. Situated just west of Animal Kingdom, and across State Road 429, Flamingo Crossings is conveniently located just minutes from the Walt Disney World theme parks. It is also near the huge solar panel project that Disney is set to complete soon. There is no completion date listed for the Flamingo Crossings West project.